If you don’t know how to use your company’s fire extinguishers then most likely your employees and/or guests don’t either. 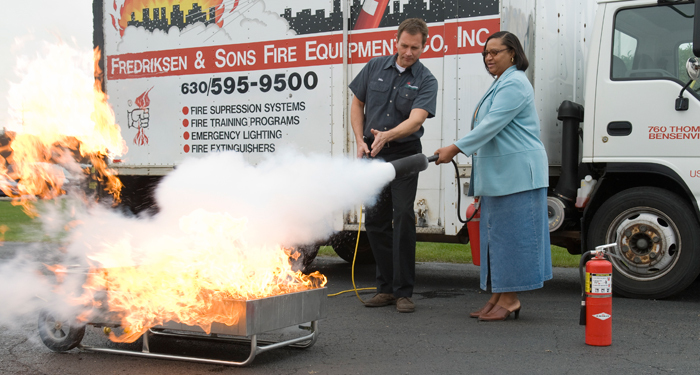 Fredriksen Fire offers on-site training in the Chicago, IL area to make sure you and your employees are ready when there’s a fire emergency. Do your employees know where to go when there’s a fire emergency? Fredriksen Fire provides fire evacuation planning and on-site training to ensure your employees know how to exit the building quickly and safely.